Oh dear. I have fallen asleep with the computer on my lap. It's been on my lap most of the day and eve while I read each and every give away post. My expectations were to meet a few creative types, or so I thought. By 10:30 pm Eastern Standard Time I read 261 posted comments plus 25 from the day when I posted about the upcoming giveaway, and another 67 comments that couldn't be posted. Lets see, thats 353. Unfortunately, I had to stop at 10:30 and made sure I read every entry that was sent up to the deadline. SewMamaSew sure put on an incredible Give Away, didn't they? I thought I'd meet a few new creative types. Instead I met hundreds of passionately creative people with so many great ideas. I oohhhed and aahhhed as I read each one. Thank you all for the kind comments and alas I have chosen a winner. Emma sent an actual image of what she would do with the Flights of Fancy fabric. Emma, let me know where to send your goodies! Enjoy! This is the give-away day that we have been looking forward to. SewMama Sew is the host of this fun day. After you leave here be sure to check out the other fantastic Give-Away participants. I am personally giving a set of four (4) fat quarters from my Flights of Fancy in the Ocean colorway and a set of 8 matching notecards. 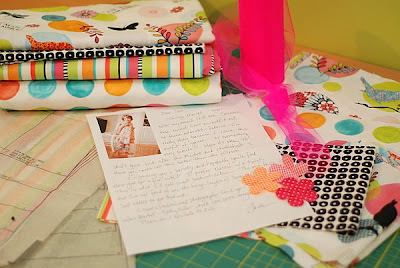 Just leave a post about what project/gift you envision making with these Flights of Fancy fabrics. I will look for creativity and post a winner by 10:30 PM this eve (Eastern Standard Time) on Wednesday December 3, 2008. 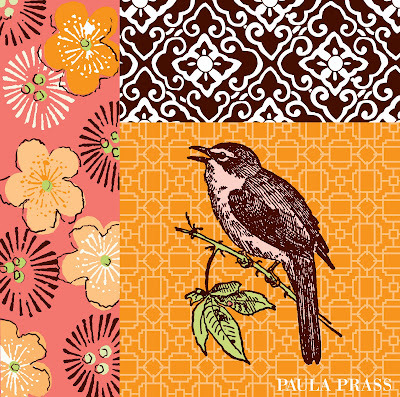 Keep in mind that these fabrics are hot off the press so you might have to do a bit of impressing. Since I receive many emails and requests from all over, I welcome anyone outside the US to participate. 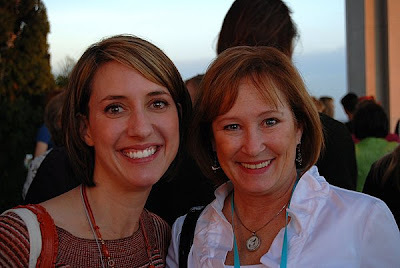 Jennifer Storey; my friend, business partner, roomie and daughter. Why, look at those shoes! 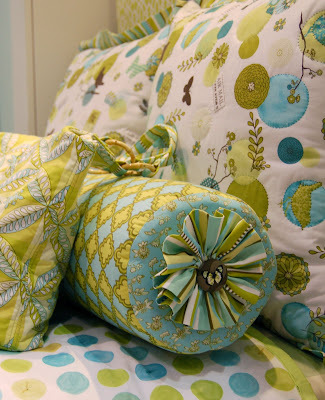 Kathy and Michael of Michael Miller Fabrics. Both are so kind and great to work with. 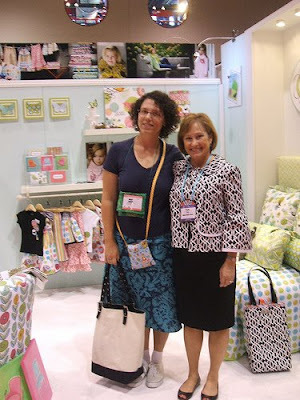 Patty Young of modkidboutique and I both presented our first line of fabrics with MMF and became fast friends. Her and her husband Jon were the best neighbors at such a big show. And here are Patty and I with Sandi in a line-up. We didn't do it, honest! Sandi was the neighbor next to me and our 3 booths looked awesome together, I must say! I have about a bazillion other photos, but so does everyone else. So much happened and I met with so many fantastic people. Thank you to everyone for welcoming Flights of Fancy with open arms, and for your genuine concern about my healing arm and shoulder. Now my arm assures me it's ready to pull a second collection out of it's sleeve! 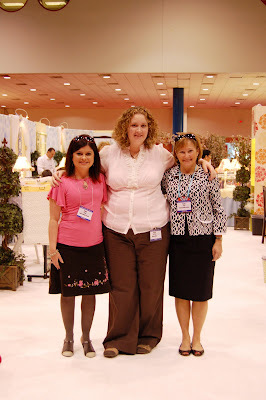 A huge highlight for me was meeting for the first time or visiting again with the gals that did sewing for me. What a privilege to show off the handiwork in my booth. What a sweetheart Jenn Cooper of Take a Bow has been. 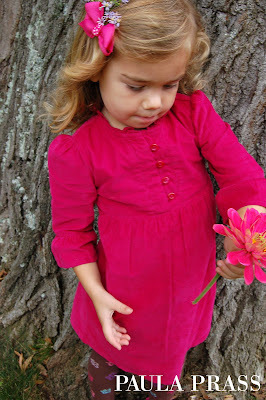 Not only has she made outfits for me without even knowing me, she then took her adorable daughter out on a very chilly morning to model the outfits for some awesome photos. Jenn is just adorable and I can't say enough good things about working with her. Okay, so when I got the Size 3 jacket and bloomers that Mary of Confessions of a Craft Addict I was pretty darn smitten. I commented that I needed one of my own. Enough said. Mary created one in my chubby adult size! I got numerous compliments, and you can see why. Mary is another very generous, talented clothing designer that I am honored to now say I know!!! 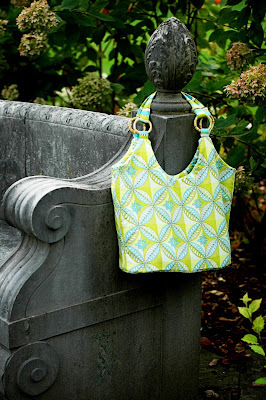 Here is Bari of Bari J who created a magazine bag and small handbag. 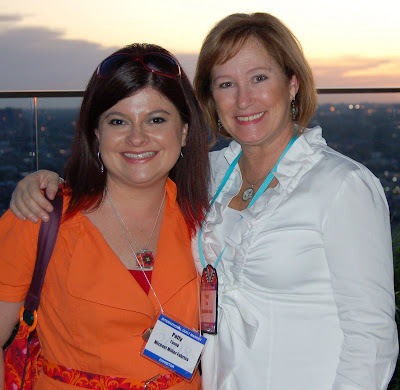 Bari and I met last March at the Country Living Women Entrepreneurs Event in Chicago and spent an afternoon with Joanna from Moda and Heather Bailey. We've kept in touch since and I'm a huge fan. I LOVE the bags and truly can't part with them. She added vintage rhinestone brooches to both bags that made them impossibly gorgeous. Jona and I met at the last Fabric 2.0 in Portland and we also have kept in touch. One funny gal who needs to step on the gas and get her jumper turned into a pattern. I feel like I had a hundred people ask about it. I enjoyed the daily fix of Jona and her hubby Joey sightings. He is as funny as she is. I know. Hard to believe, but true. 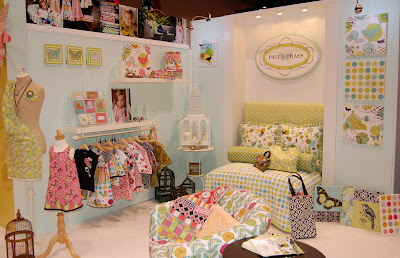 Traci of Bloom Design CO is another absolutely, incredibly, adorable designer. She made a couple perfect outfits showcasing my fabrics. But she didn't stop there. She emailed asking who in my booth needed a badge. I wondered if she was on the BADGE COMMITTEE. Nope, she made Jennifer and I awesome badge holders out of my fabrics. This caused Badge Envy amongst the other vendors. I'm not done. She came to Market with checkbook covers, business card holders and, HELLO...Fabric Fortune Cookies using my selvage as the fortune!! No way!!! Yes way!!!! Someone stole one, other people asked if they could take them and everyone undid them to try to figure out how she made them. Thank you so much for all the goodies that kept visitors busy! You are such a sweetheart! The gals flanking this colorful group are Missy (left) and Liz (right) of Sweet Funky Vintage. 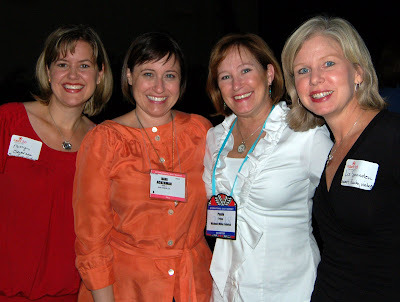 I met them at the Country Living Women's Entrepreneur Event as well. We had dinner together in Chicago and have been friends ever since. 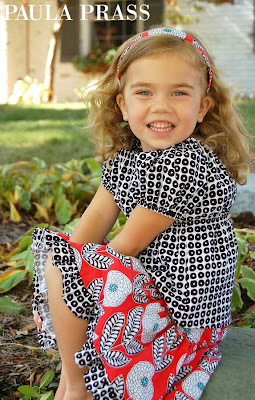 Missy made several outfits with my fabrics and even made a little purse for The Precocious Amelia. It was so much fun catching up on laughing. Love you both!!! 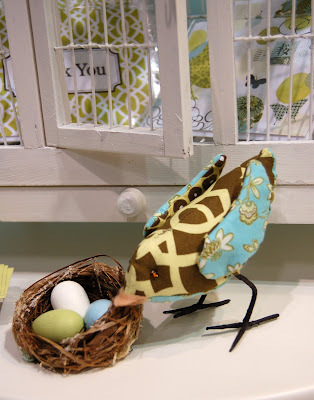 There were others who made things for my booth, but this post is about the Houston Quilt Market. I have a special place in my heart for all these special women and hope we continue to stay close for many years. Thank you all for making my fabrics look fabulous. I'll have more Market reviews coming soon. First of all....WOW!!!! What an incredible experience! I'm exhausted, but refreshed. Make any sense? I have so much to share. I've decided to divide my SHOW + TELL into catagories. Here goes the first in the series. 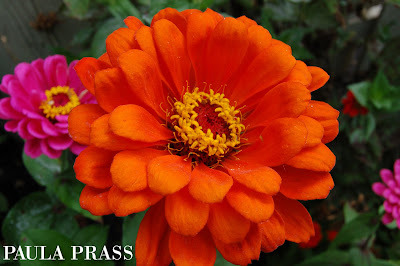 There are many more that other visitors took, so I imagine there will be others floating around in blogland. 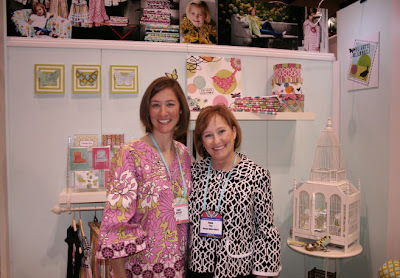 My next post will be about my sewing Fabricnistas. Stay tuned! I AM STILL SEWING! We catch a 6 a.m. flight, I haven't started packing, but I'm still sewing. 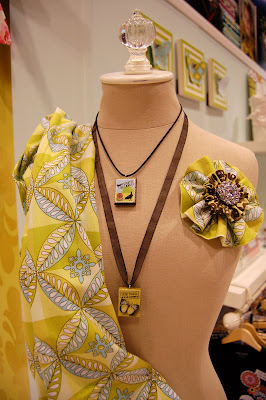 If you are coming to the Quilt Market, please come visit us and my Flights Of Fancy creations at Booth 420. 5:25 - 5:55 -- (same room as above) Sandy Henderson, Paula Prass and Patty Young -- Show and Tell. We'll come back with lots of photos and tales for all. We had such a wonderful time at our photo shoot. Mia and her friend Elly were perfect little models, enduring quick changes and what seemed like a thousand mosquitos attacking us. The photos turned out amazing. I really wanted to share just a few now and you'll see more in the weeks to come. The handbag above was made by Maria, Patty Young's mom. 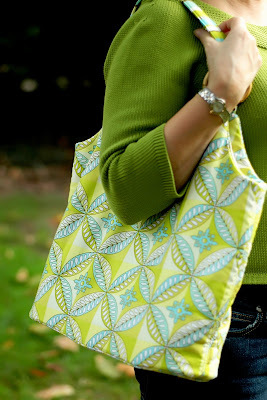 She makes awesome purses and I was honored that she did one for me. Check out Marializ Creations for more goodies. 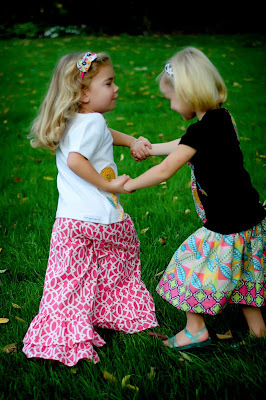 It was so much fun watching Mia and Elly frolicking in some creations by Sweet Funky Vintage. You'll be able to see them in person in just a few days! Missy, thank you so very much. The girls had so much fun. Then here's a closup of my precious Mia....just because. She is wearing a jacket, again....a teaser. You'll see it all soon. I am still in awe that this is happening. 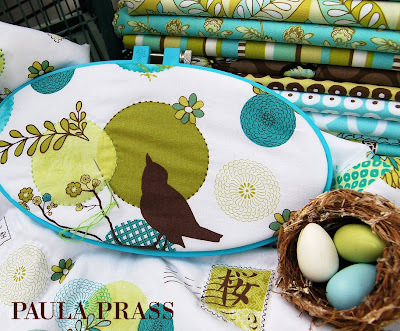 Drawings from my sketch pad turned into fabrics, which are turned into clothes, bedding and handbags. 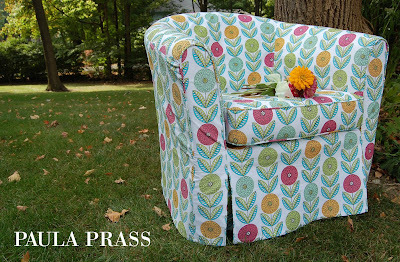 I love this country...and Michael Miller Fabrics! 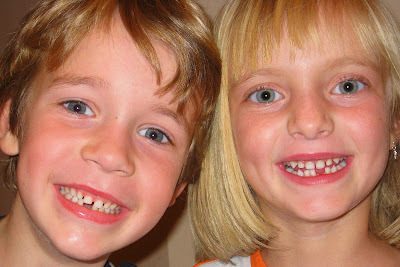 WHO ARE THESE GORGEOUS KIDS? 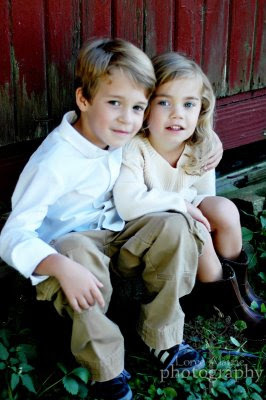 My absolute favorite children's photographer is Loree Alayne and she just gave us a tiny sneak peek of some shots she recently took of these gorgeous children...just happens to be MY grandkids! She has just done the photo shoot for my debut line of fabrics Flights Of Fancy for Michael Miller. Oh if they turn out half as good as these few I will be thrilled. Go check out her site for some incredible inspiration. Our crate for Houston leaves today. Whew, we've been pulling some late nights around here. I still have some projects to complete. My arm is doing better every day!!! I'm sewing!!! I will be able to hug everyone at Market for sure now. 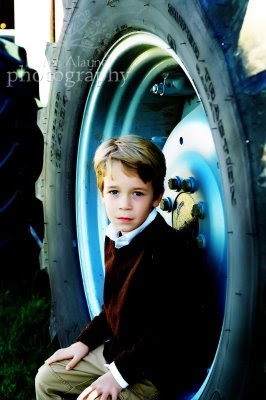 NOTE: I truly hope you extend me the grace needed; as I am truly the most ridiculously proud grandarent. Never would have gotten away with this with my own kids, but just can't help myself now. When Wyatt was born I asked a nurse, "Is he not the most beautiful baby you've ever seen?" She said, "He's adorable" and I said, "No, really". I behaved much better with Mia. First of all, I am the first to confess that I'm totally a picture kind of gal. If I see awesome images, then I will be sucked in, otherwise, I'm off in search for color and pretty pictures. I apologize for no pics; I have a good excuse though, really. We are in the midst of packing a crate for Houston and are down to the wire. 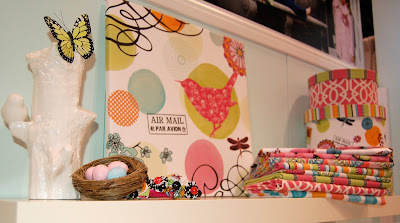 Have so many Hanging Chads here, including goodies that came too late to get photos for the blog. We had our photo shoot yesterday afternoon and eve, accompanied by a huge amount of mosquitos. I intended to carry my own camera, but was running late, as usual. Now we have to pack all these goodies to send off. The previous images were ones that the creative sewers took in advance or we received in enough time for a quick shoot. Now if I were reading this it would only be, " BLA, BLA, BLA". Cuz no pics. Oh I promise to make it up. For anyone who has read this far...my arm has been so much better the last couple days. I am so thankful. I have an appointment with a nerve specialist that I might get to cancel. YEAH. I know it's the weekend, but I seriously tried all day yesterday to squeeze a post in and I just can't wait til Monday. 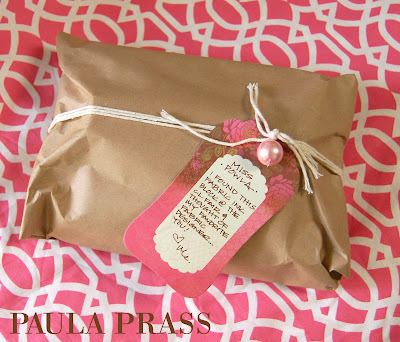 Look what I found over on Jona's blog! A sneak peek at the jumper she made for me out of my Flights of Fancy fabric. She has other photos and close-ups on her blog. I understand that this is a pattern of hers in the works. The first time I saw her post about this scalloped beauty I just flat out asked her to make me one. Isn't it perfection? can't wait to see it in person. It's been a hub bub of activity around here, but clearly the highlight of the day is when the mail arrives. On Thursday I was at my Physical Therapy appointment (which, by the way, I'm still paying dearly for today). As soon as I walked out of there I was calling the office to see if the mail came. Yup...and there was a box from Traci Butler of Bloom Design Co. Couldn't wait to get back to caress such beauty and hoped to get some pics for you. So yesterday we bribed Mia (notice her hand behind her back? Yup, candy) and we were able to get two good pics....you know how those models are? The first is a kimonoish top and Traci made cute pants that you'll just have to see at Quilt Market, since Mia made some firm decisions about how much she was willing to do before her candy and nap. Second outfit is a peasant top and skirt. And look at the matching headbands. I'm in love with these outfits and you Traci. Thanks so very much. Hey, check out her blog here. Look at these precious peeks taken by the talented Jenn Cooper this morning. 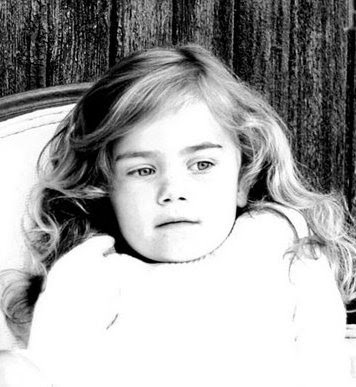 Her daughter is a perfect model, isn't she? She's wearing some lovelies that Jenn made out of my Flights of Fancy. She squeezed a dress, pants, skirt and tee out of not much fabric. You'll have to wait to see the rest. Thanks Jenn. Fantastic! And here is a sneak peek of a jacket that Mary from Confessions of a Craft Addict has made for me out of one of my Papillon colorways. Adorable, eh? I understand it's en route and i just can't wait. 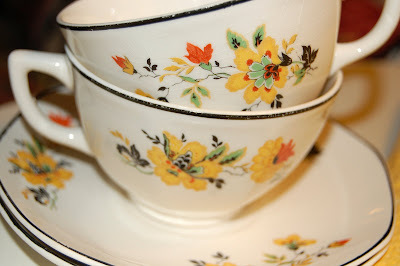 Mary also has an Etsy shop called flourishes. I am so blessed to have her drop everything to whip up an outfit for me. 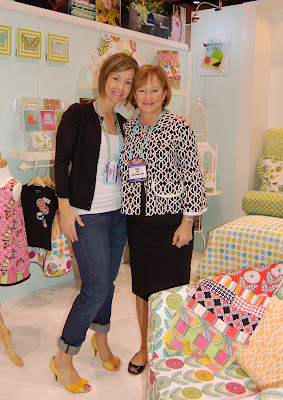 Mary will be in Houston for Quilt Market so I'll get to meet this talented gal in person. I also wanted to share a gift I just received. 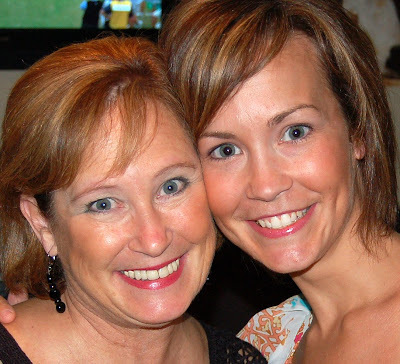 Jennifer and I had plans to go to the Country Living Fair last month with our friend Kelly and her mom. Jennifer and I ended up not going because of my broken arm/shoulder. Bummer. But Kelly did go and look what she got me!!! She affectionately calls me Powla (at least I think it's affection???). This is so cool, can't wait to SHOW + TELL what I do with this press....when I can press again. Kelly is so thoughtful, always doing things to make others feel special. Ya made me feel loved today Mz Kelly!!! So that's surely a fiber fix for the day, don't ya think? We tried our hand at some of our own photography yesterday. We never seem to have time to learn the art of photography around here and are usually in a rush, but you'll get the idea. The fabric piles and list of undone projects are getting deeper as Houston Market gets closer. I did get to see some sneak peeks from some of my sample sewers and I'm blown away. I woke up in the middle of the night (my usual routine). I came downstairs, saw I had an email and there on the screen were photos of 4 pieces that Jenn Cooper made me. I was so excited...couldn't shout (husband asleep), couldn't throw my arms up in glee (broken), so I just sat and caressed the computer screen in the dark. I've debated on letting you see the photos she took on the mannequin or wait until she has her daughter models them. 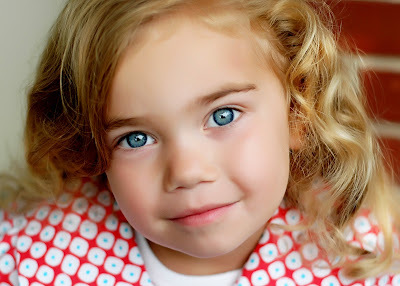 Her daughter is much cuter..I opt for Jenn's photo shoot since she's an awesome photographer. Stay tuned. Jenn Cooper of take a bow is helping make my dreams come true. I can't wait to finally see my fabrics made into her wonderful creations. Please go check out her wonderful photography, too. I can't believe Houston Quilt Market is so close, especially with so much left to do. I am not brave enough to make a list of all that still needs done. I will be back soon. This is incredible and I want to share it all with you. 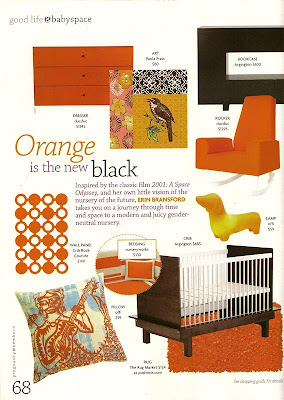 At least according to Pregnancy and Newborn magazine...orange is the new black. 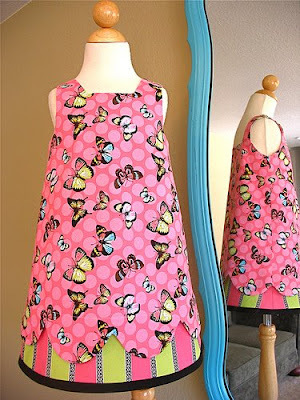 That works for me since they included our wall art (coordinating butterfly is also available) as one of their examples. So, I got to thinking about orange. Jennifer has just compiled a list of our top sellers this year and in all categories I noticed several best sellers had orange colorways. 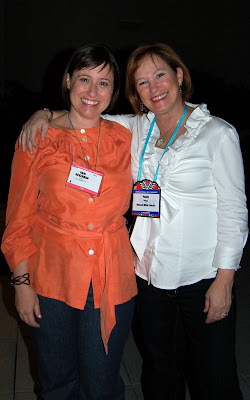 Then I got to thinking; wonder how many of my blogger friends have seen what we do around here. Hhmm. 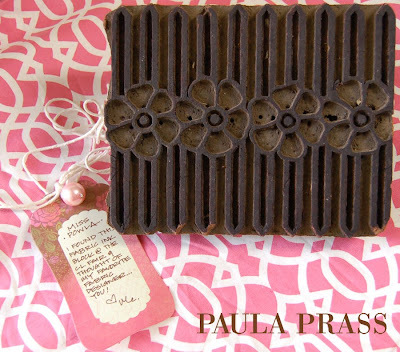 More thinking....I haven't offered a sale in awhile...and our fall items are being added to both Paula Prass and mimi's collection right now. Now I'm thinking maybe I could have a sale for my orange wall art. Na...how about all my canvas wall art from October 1-31 for 20% off? Yes, let's do it. When ordering, just put "orange" as the code. Now orange you glad I got to thinking? Me too. So many other things happening around here. Where to start? The fabrics have arrived!!!! What an exciting challenge. I had a couple people who offered to help, but my friend and fellow fabric designer Patty Young gathered a few of her sewing friends to help me out. I'll plant a big juicy kiss on her later! She knows so many talented gals and I am so appreciative and honored that they are willing to help. My entire family room, eating area and kitchen have been filled with fabrics that will soon become clothing and decor! I must admit it was a challenge with one arm not cooperating in the process, but I won. Today my Mia came in after preschool looking so adorable. I decided to try a photo shoot experiment for 2 reasons. 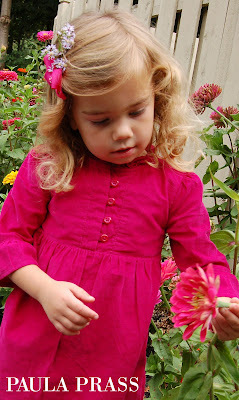 1) I need to use my arm, and 2) prepare Mia for her soon to be modeling shoot for our new fabrics. Keep in mind when you ask her to smile she gladly squints her eyes shut and makes an extreme pained smile. Hilarious, unless it's a school photo or Holiday portrait. So we practiced my arm and her modeling for a few minutes. Okay, let's start with Orange meets Fuchsia meets Mia. 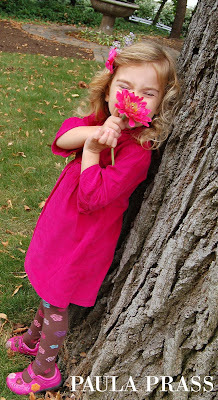 The colors of fall combined with the sweet innocence of my Mia make me very happy!